This fascinating poster set gives substance to the saying "The pen is mightier than the sword." 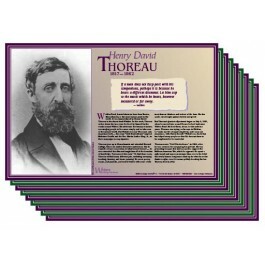 From Jose Marti and Emile Zola, who risked their lives for causes they believed in, to important figures like Anne Frank and Frederick Douglass, this set celebrates literary bravery and the power of the pen. Each poster features an image of the author, a biographical sketch, and a quote from the author's works. 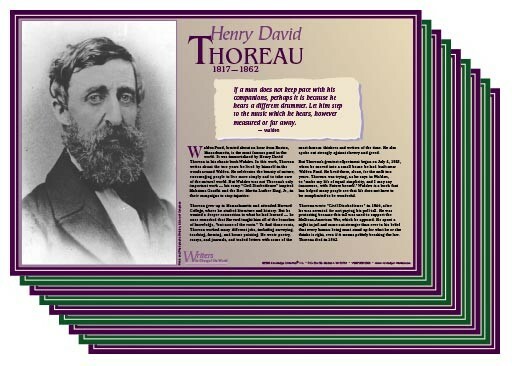 Other subjects: Harriet Beecher Stowe, Rachel Carson, Henry David Thoreau, Mary Wollstonecraft, and Upton Sinclair.